This is the top of the line, most powerful dry steam cleaner we have. 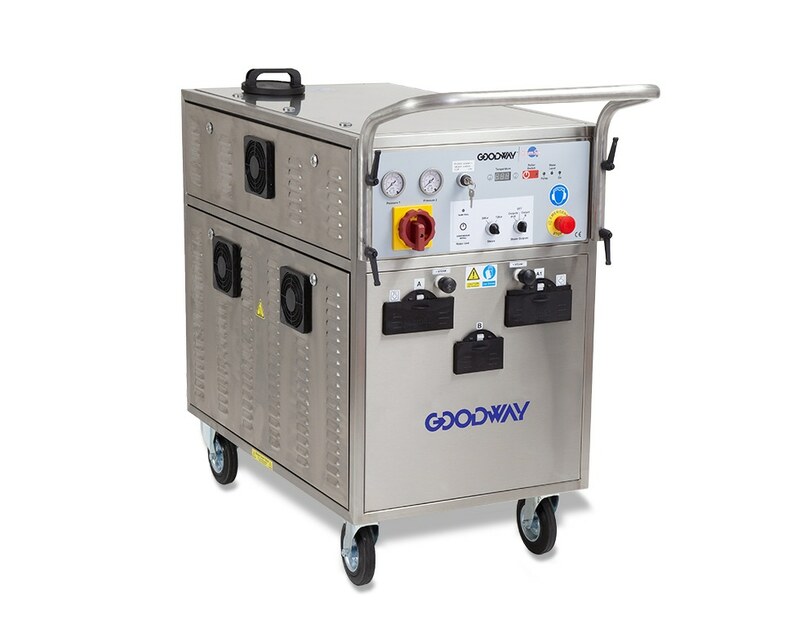 This unit is a 72KW super heavy-duty steam cleaner that provides high volumes of dry steam. Its diverse features and advanced technology deliver super-heated steam vapor at 5% moisture content to safely and effectively demolish grease, grime, bacteria and so much more, on contact. Plus, its advanced settings allow you to clean a wide variety of machinery and plant equipment, including sensitive packaging and filling equipment. Applications Include: Decontamination/Sanitation of Equipment, Parts Cleaning, Replacing Solvents, Central Vapor Steam Delivery System - Multiple Belt Cleaning Installations.